Tiny Kitten Trapped In Pipe For 2 Days, Nearly Died… Now Watch The Amazing Rescue Video, WOW. 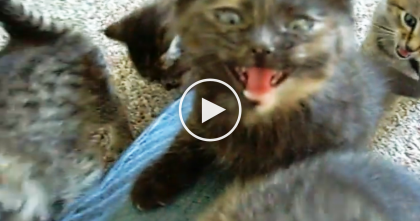 This poor kitten found herself fallen into a pipe 12′ deep. The hours turned into days and everyone thought that all hope was gone. Her life would end soon if something couldn’t be done. Thankfully her loud cries and meows for help were heard by some kind humans who later became the heroes of the day! 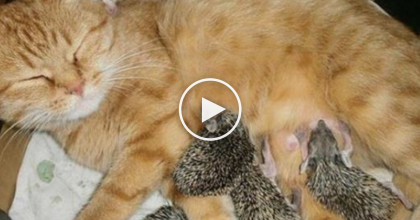 – They were somehow able to grab the kitten by the tail and fish her out to safety! 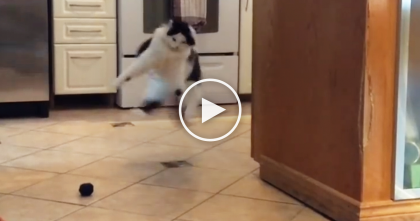 Watch The Hilarious Reaction When This Fluffy Cat Discovers The Round Toy Balls…It’s TOO Funny! 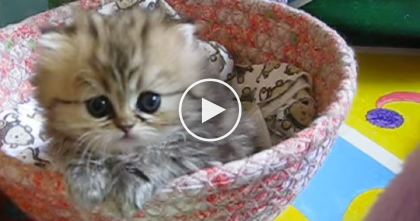 This Fluffy Kitten Is So Innocent That You’ll Fall In Love Instantly When You See… Oh My Goodness!! Man Hears Cries From Backyard, But When He Goes To Investigate… Just WATCH What He Finds! !